71 entries in 13 days! That's pretty good! I'd like to thank Andrew from Spittoon and Spittoon Extra for letting me host this month. I thoroughly enjoyed it. In April when I won one of the DMBLGIT awards for the first time, I never would have thought I'd be judging a few months later alongside such amazing food bloggers as Béa (La Tartine Gourmande), Sabra (Cookbook Catchall), Matt (wrightfood), Kate (Aapplemint), and Hannah (BitterSweet)! Thank you all for helping me this month put on a great event. Thanks too for participating this month and congratulations to the winners! Part 1 - Overall Winners: The overall winners have the highest scores in all three categories combined. Overall First Place: Feuille d' automne by Thip from Bonbini! with a Nikon D70 We loved the unusual camera angle that shows off what must be a very complex but delicious dessert. 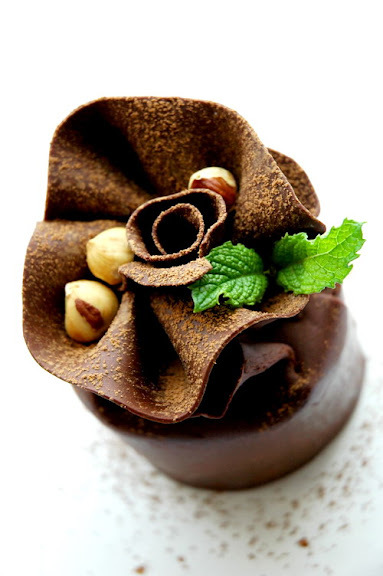 Both the green mint leaves and the hazelnuts give a nice contrast and texture to the shot. Very well composed. 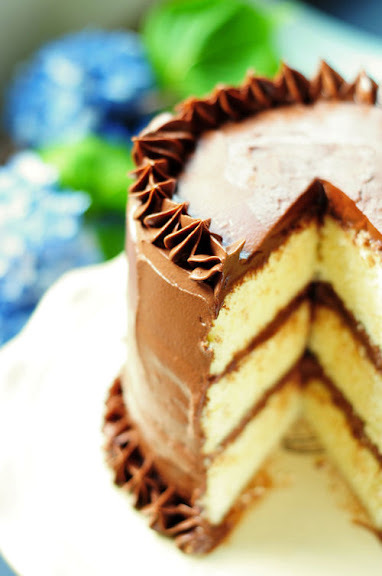 A delicious looking cake that makes you wish you had that missing piece on a plate in front of you. Cutting the perfect piece and being able to photograph it afterwards is near impossible, but not for Eliza. The blue and green in the background adds that hit of color the photograph needs. A fundamental accessory, the fork, is there, but in outline making this photo eye catching. 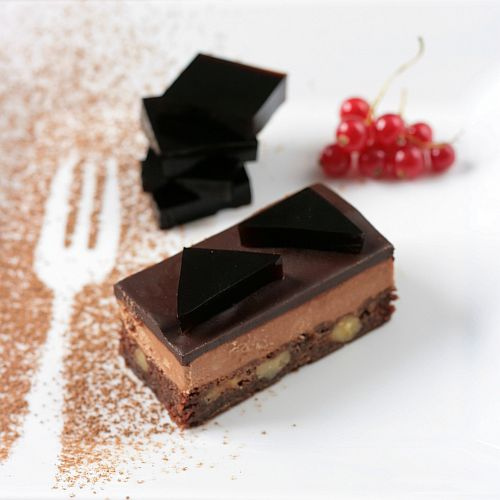 A variety of shapes makes it interesting, and the hint of red from the currants adds appeal. Part 2 - Edibility, Originality, and Aesthetics Category: Each photo was scored in three categories: edibility, originality, and aesthetics. The photo receiving the highest total score in each of those categories, excluding the three overall winners, is the specific category winner. 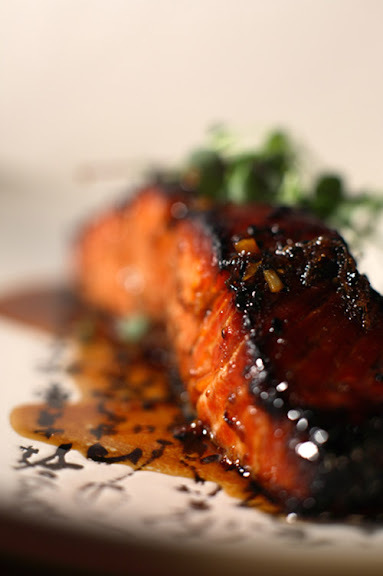 This salmon glistens in the soft light reflecting the pretty color of the flesh and the crunchiness of the outside. The subtle use of the Asian plate is a nice touch too. A lovely shot. The broken shells add texture sitting in that ceramic egg carton. Very original. 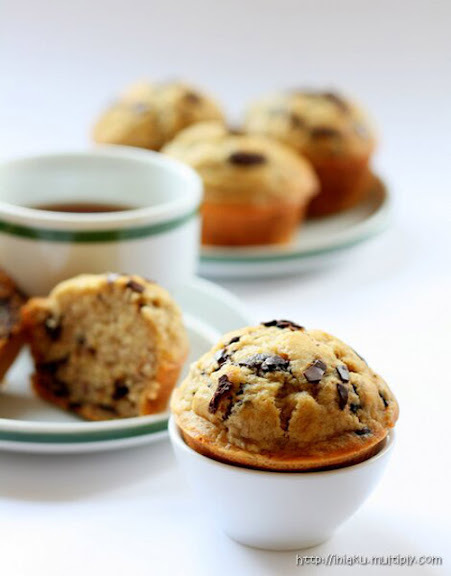 Having the foreground muffin sitting in a little cup is really cute. The cup and half muffin on the left adds a lot to the composition and is in focus enough to be interesting, but out of focus enough so as not to distract from the foreground. Very aesthetically pleasing. Great lighting, sharp photo and great composition. Elevating the piece out of the tart gives the photo some interest. 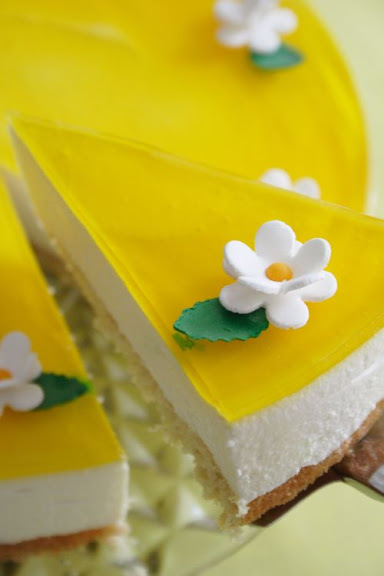 This tart looks luscious. Congratulations to all and thanks for participating! Here is the gallery of submissions. October DMBLGIT will be hosted by Cenk from Café Fernando. Also, please check out Andrew's new post that will be updated on an ongoing basis about DMBLGIT. They are all gorgeous, congratulations! Wow, just beautiful. Those tea eggs are speaking to me. Thank you for doing this roundup! You did a very good job of organizing and especially of getting all the judges to work. I like that you gave such specifics about what the judges liked about the winning photos. Wow, wow, wow, gorgeous pictures. Congratulations all you very talented people! some beautiful pictures here! congrats everyone! 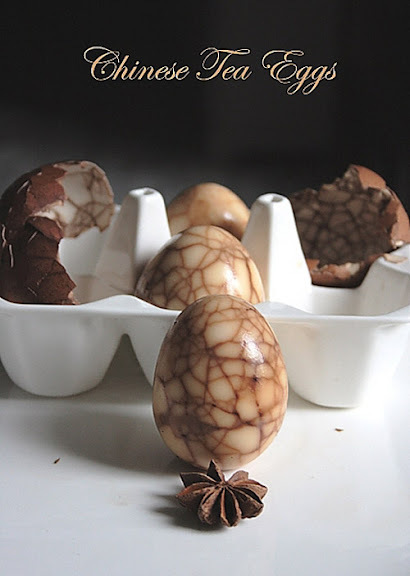 I absolutely love the Chinese Tea Eggs - beautiful and original. Of course all of them are great, though! Thank you, Shari and all the judges. Thanks Shari for hosting and thanks to all the judges for choosing me as a winner. Never crossed my mind that all those gorgeous judges will choose me, since their photographs are amazing. I love the note that you gave on each photo. I learn a lot from it. Thank you Shari for hosting and to all the judges. I am truly honored. Congrats to the winners and thanks for hosting! thank you Shari and all the judges who have chosen me to be one of the winners! Wow...gorgeous photos, beautiful choices, beautiful food! Congrats all around. Congratulations to all participants. You are all winners. This selection of winners should have the food publishing industry attention. They certainly look worthy. Thanks for the fun! I'm so happy to have had the honor of judging this round, it was a lot of fun. Congrats to the winners!